Welcome to Word Search Maker. Where you can create word search puzzles for free! No need to download softwares or install any plugins as it is based on HTML5, so a modern browser (e.g Mozilla Firefox or Google Chrome) is all you need. Select options (ex: dimension, difficulty, etc). 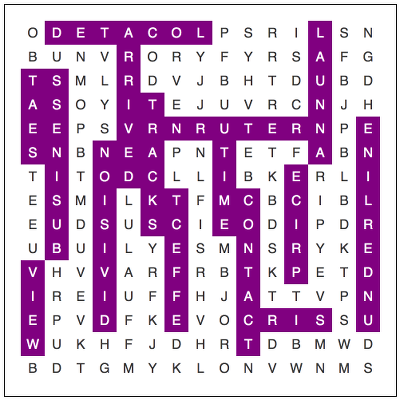 Ready to create a word search puzzle? Click here. Words in puzzle provided by Word List.